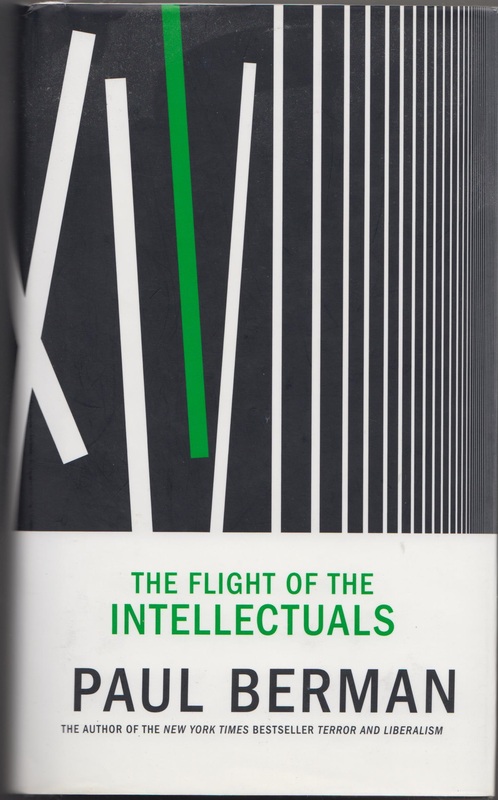 Yesterday I put up a piece about Paul Berman’s book, The Flight of the Intellectuals, which argues that the modern Islamist movements – al-Qaeda, but also Hamas, and the Islamic Republic of the Ayatollah Khomeini, ultimately have their origins in the writings of Hassan al-Banna and the Muslim Brotherhood. The book also describes the role of the Grand Mufti of Jerusalem, Haj al-Husseini, in translating Nazi anti-Semitic propaganda into the Muslim and Arab worlds. Al-Husseini claimed, despite the evidence of the very limited dimensions of the Jewish state at the time, that the Jews were planning to wipe out Islam and the Arabs, and to turn all the Arab countries in the Middle East into homelands for themselves and Black Americans. He therefore urged, and organised, a genocidal war against Jews, commanding his audience to kill the Jews and their children before the Jews killed them. It’s vile, poisonous stuff from someone, who played an enthusiastic part in the Holocaust of European Jews, as well as massacres of those in Palestine. His fear-mongering of a Jewish superstate goes far beyond the Nakba, or ‘disaster, catastrophe’, the term Palestinians have given to the eradication of their communities and their displacement at the establishment of Israe. Looking through al-Husseini’s rhetoric also makes sense of the claims of a similar genocide made by one British Muslim firebrand in the 1990s. This was Kalim Saddiqui, who was one of the Muslim leaders involved in stirring up hatred against Salman Rushdie over the Satanic Verses. In the early 1990s the Beeb screened a documentary on the problems afflicting the Islamic community in Britain. These problems included poor academic performance, unemployment and the consequent feelings of disenfranchisement and alienation. They filmed Siddiqui preaching in his mosque. He told the assembled worshippers that ‘British society is a gigantic killing machine, and killing Muslims comes very easily to them.’ I’m aware of the racism and violence many Muslims have to face, not least from the Stormtroopers of the Far Right, like the BNP, and their successors, the English Defence League. But this went far beyond a complaint about racism to a bigoted, racist statement about non-Muslims Brits. To their credit, the Beeb tried to tackle Siddiqui about this. His response was that it was part of his defence of Islam against the forces, of which Rushdie’s book was a part. He then claimed that the Satanic Verses was simply part of a ‘Holocaust of Muslims’ that was being prepared. It’s rubbish, of course, but such fears do now unfortunately have a certain verisimilitude now that Trump is demanding a halt to Muslim immigration, and the registration of those already in America. Against this, it needs to be noted that there are other Americans on the streets, including not just Muslim Americans, but also members of the traditional White and Black communities and Jews demonstrating against Trump’s poison. Several Jewish organisations were so horrified by Trump’s plans, which were so close to what they experienced during the Third Reich, that they organised demonstrations against the tousle-haired Nazi in 17 cities across the US. Siddiqui also made the comments at the time of the Bosnian War, when the Serbs were committing massacres against Bosnian Muslims. That might partly explain Siddiqui’s vile rant. But mostly it seems to me now that Siddiqui had absorbed the conspiracy theories and the rhetoric of genocide against Muslims shoved out by the Grand Mufti as part of his pro-Nazi campaign. In which case, the roots of Islamism and Islamist terrorism in Britain go back at least two decades. Siddiqui and the other preachers of hate prepared a paranoid, intensely hostile mindset within the audiences, which may have made some susceptible to the teachings and propaganda of al-Qaeda and now ISIS later on. Siddiqui and his fellows, like Anjem Chaudhury, do not represent all Muslims in Britain by any means. They’re extremely controversial, and there have been demonstrations against them as bigots, who pervert the message of Islam, by liberal Muslims. There are a number of books and Muslim organisations, like Imams Online, which exist to tackle the Islamism and hate they promote. If you go over to the anti-racist organisation’s Hope Not Hate site, there are also numerous articles on events that have been organised around the country to bring Muslims and non-Muslims together, with pictures of Muslim imams talking and laughing with Christian vicars, and members of the other faiths. Siddiqui’s rhetoric is part of the Nazi distortion of Islam, and doesn’t represent the whole of the ‘umma or its history. Okay, this is going to be another article commenting on the current situation in the Middle East. I’m sorry about this, if you’re bored with the subject, guys. Please stay with me. This stuff’s important. But I guess you already know that very well already. Last week it was reported that the Americans had killed Mohamed Emwazee, aka ‘Jihadi John’, in a drone strike. Emwazee was the British ‘executioner’ with a London accent, shown murdering prisoners in ISIS’ propaganda videos. This was a subject of celebration, with David Cameron appearing on TV to praise the Americans for having done a good job well done, and make various comments about British-American co-operation, intelligence-sharing and so forth. And then the right-wing press over here decided that they were going to attack Corbyn for not being sufficiently militaristic. The good blogger over at Zelo Street has written a very good piece about this at http://zelo-street.blogspot.co.uk/2015/11/jihadi-john-bloodlust-exposed.html. Among the pack baying for Corbyn’s blood was the editor of the Sun, Tom Newton Dunn, Dan Hodges and Toby Young at the Torygraph, Paul Staines of Guido Fawkes and Andrew Neil, known to readers of Private Eye as ‘Brillo Pad’. They attacked Corbyn for saying that it would have been better if Emwazee had been tried in a court of law. This wasn’t enough for the above rightists, despite the fact that Corbyn had prefixed it with a statement that ‘Jihadi John’ had been held to account for his brutal and callous crimes’. Not quite the soft statement the Tories were making it out to be, but still not bloodthirsty enough for them. The article in Zelo Street makes it clear that capturing ‘Jihadi John’ would have been exactly the right course, given the precedents for it. The Israelis captured and tried Adolf Eichmann, one of the Nazis responsible for the Holocaust. There’s a quote by Eichmann in which he states that he had absolutely no regrets about what he did. I can’t remember the exact wording, but it’s something on the lines that only weaklings regret what they have done. It’s one of those noxious statements that make you think that however the Israelis killed him, whether by firing squad or hanging or whatever, it was too good for the b*stard. The Israelis would have been justified shooting him out of hand. But they didn’t. They put him on trial and had him convicted according to the rule of law. Just as the Europeans and Americans did with Radovan Kardzic, one of the Serb generals responsible for horrendous war crimes in Bosnia. He was captured, and tried at the Hague for his crimes against humanity. And in fact, there are a number of other, very good reasons why it is better to capture and try individuals like Emwazee, rather than killing them in drone strikes. Firstly, as a way of gaining hearts and minds, drone strikes are counterproductive. Where they’re being used against Taliban enclaves in Pakistan, they’ve actually managed to increase support for the Islamists. Part of this, supposedly, is that the local people feel it’s a cowardly method of fighting. The drones are remotely operated by someone hundreds or even thousands of miles away from the battle field. Secondly, as a matter of simple military precision, they aren’t very good. I’ve put up a report about them from The Young Turks, which showed that rather than precisely targeting their victims, they simply home in on their mobile phone signals. The result has been that the wrong people have often been killed, simply because they were holding the intended victim’s phone at the time of the attack. This has included the mother of the Jihadis. Those killed in the strikes have also been bystanders, who may not have had anything to do with the victims except having been standing in the wrong place at the wrong time. The third argument against them is perhaps the most serious. Many liberal Americans have opposed drone strikes, such as that which killed Anwar Awlaki, on the grounds that are a form of extra-judicial execution. Or assassination, if you prefer. Anwar Awlaki was the Islamist preacher killed in a drone strike in Yemen. He was a deeply unpleasant piece of work, having preached murderous jihad and planned numerous terrorism offences. He was also an American citizens, and many Americans were upset about the way the president – in this case, Obama, had ordered his death without having him caught and tried. All of this also applies to the drone strike against ‘Jihadi John’ Emwazee. And you don’t have to have any illusions about how brutal and thuggish Emwazee was to be concerned about the manner of his death, and the implications it has for global justice. Zelo Street states that he was scum. He was. Utterly. The man butchered innocents and boasted about it, with no remorse whatsoever. He pretty much got what he deserved, at least if his own low standards were applied to himself. But justice demanded that he be captured and tried. As for Dunn, Brillo Pad, Young, Staines and the rest of them, don’t expect them to make reasoned, nuanced criticism of Corbyn. They aren’t. They’re frightened, and they’ve decided that the best way to destroy him is to make him out to be a dangerous subversive, who supports the IRA, ISIS and other terrorist organisations. Even if he doesn’t quite say what they want you to believe he said. That the ‘narrative’ they’re using, and they’re going to stick to it, according to Goebbels’ maxim that if you use a lie big enough for long enough, then it becomes the truth. Minister’s Mock Funeral in 1848 – Time for a Revival for Iain Duncan Smith? 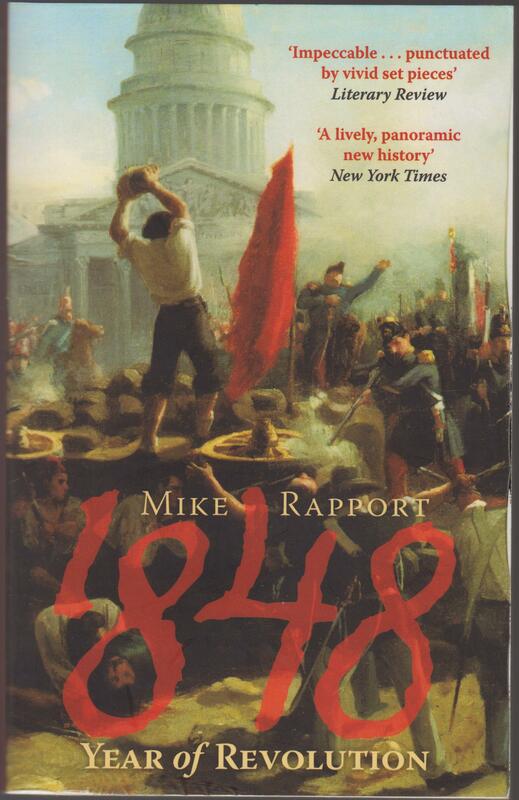 I’ve been reading Mike Rapport’s book, 1848 – Year of Revolution (London: Little, Brown & Co 2008). This is about the ‘year of revolutions’, which saw uprisings against the old, Conservative orders and empires break out across Europe, in Paris, Berlin, Vienna, Frankfurt, Milan, Venice, Prague, Krakow, Budapest and Galicia. Liberals and Democrats rose up in the hope of establishing more representative electoral systems, a wider franchise, or the abolition of the monarchies altogether. German and Italian Nationalists attempted to create a united Germany and Italy out of the various independent states in which their nations were separated, while Polish, Czech, Slovak, Magyar, Romanian, Serb and Croat nationalists attempted to forge their own states with a greater or lesser degree of autonomy and independence. This was also the year of the publication of Marx and Engels’ Communist Manifesto, when Europe was indeed haunted by workers’ protests and uprisings against the grinding poverty and squalor of the new, industrial age. These revolutions ultimately failed because of the contradictory demands and aspirations of the various groups involved, which then clashed with each other, allowing the conservatives to reassert themselves. It’s a gripping book, and I intend to give it a fuller review when I’ve read it. I found an interesting piece of political theatre in the description of the workers’ protests against the return of the Emperor Ferdinand to Vienna on the 21st August 1848. The city, like many of the other revolutionary centres elsewhere, was suffering from economic depression, and a programme of public works had been put into practice to provide jobs for the unemployed. There was, however, pressure on the government to close them down in order to save money. The government chose instead to cut wages for those employed on them. The result was a workers’ demonstration through the suburbs on the 21st. The next day, the workers built an effigy of the minister for public works, and held a mock funeral for it. They declared that he had choked to death on the money he had taken from the unemployed. This unrest finally culminated in armed conflict between the workers and the National Guard on the 23rd, which saw the protest quashed. The bitterly ironic declaration that the minister had choked to death on the money extracted from the unemployed could equally be applied to Iain Duncan Smith and the rest of the Tory and Tory Democrat coalition. After all, IDS and his fellows, Mike Penning and Esther McVey, have similarly provided over a system of public works, though one intended to give the illusion only of providing work. The wages for those on workfare is similarly smaller than that for ordinary work: it’s simply the claimant’s jobseekers’ allowance. And all this has been inflicted on the unemployed partly under the rationale that it is sound fiscal policy and balancing the budget. So I think that the next time there’s a demonstration against IDS, Osbo, Cameron and the rest of them, it would be more than fitting for a mock funeral to be held for them. There is, however, one difference: IDS may not have choked to death on the money he’s extracted from the unemployed, the poor, and disabled, but too many of them have been killed for the governments’ savings. About 220 per week, or three every four hours. This should be more than enough to bury him politically.